With over 2,000 animals and 1,000 species of plants, Jacksonville Zoo and Gardens is your community’s best resource for education, conservation and of course, entertainment. Consistently named one of the top attractions in Jacksonville and winner of multiple TripAdvisor Certificate of Excellence awards, Jacksonville Zoo and Gardens is a can’t-miss location for visitors and residents alike. New Nocatee residents can enjoy an exclusive discount offer on memberships to the Jacksonville Zoo and Gardens. Zoo members enjoy perks like free general admission for one year, discounts at over 140 other zoos and aquariums, discounts on special events and even 10% off purchases made at Zoo restaurants and gift shops. Zoo members can enjoy exhibits like the award-winning Land of the Tiger exhibit which was opened during the Zoo’s 100-year anniversary in 2014. This exhibit features a state-of-the-art trail system for the tigers to choose where to spend their time and travel through over 1,000 feet of space in addition to their standard exhibit. 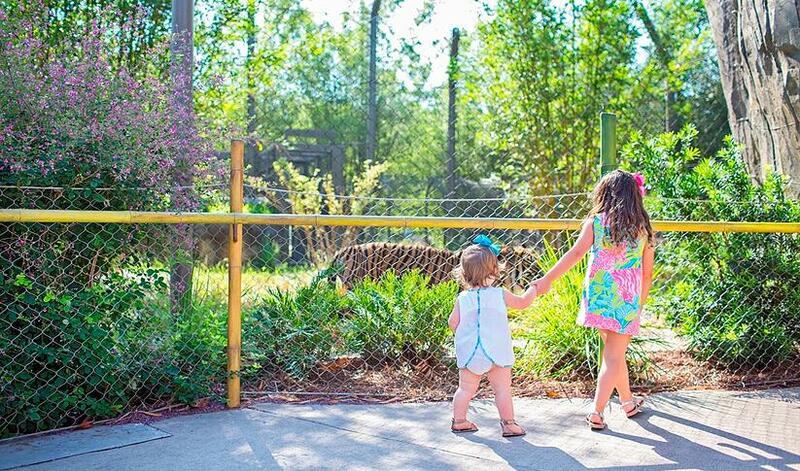 A membership to the family-friendly zoo perfectly compliments the active Nocatee lifestyle. For more information on the Nocatee resident exclusive membership offer, check out the special Jacksonville Zoo and Gardens Offer Page! To learn more about new homes at Nocatee and resident perks, stop by the Nocatee Welcome Center or call 1-800-NOCATEE.